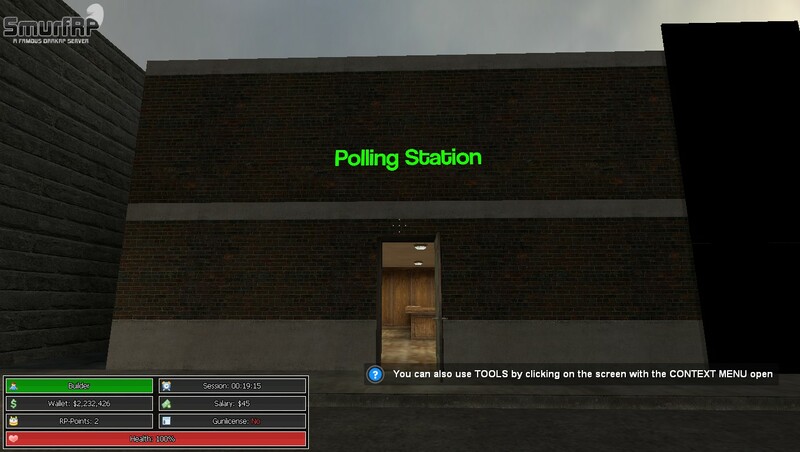 Today In RP I Made A Nice Little Polling Station To Represent What Is Going On Today. This I The Outside Of The Polling Station. Here Is The Downstairs Meeting Area. Here Are The Polling Station's. Here Is The Polling Box To Insert Your Polls!